Hearthstone: Hearthside chat details four new cards and 'Even and Odd' decks – AiPT! 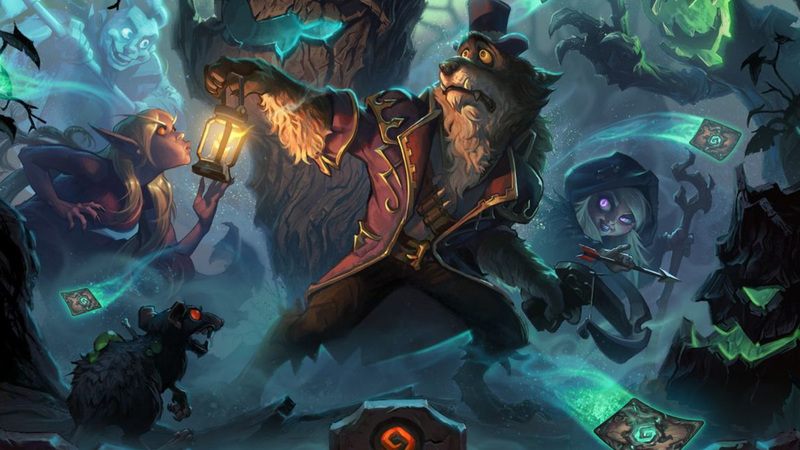 Find out more about Genn Greymane, Baku the Mooneater and Even and Odd decks in Hearthstone’s upcoming ‘The Witchwood’ expansion. In our preview of Hearthstone‘s upcoming expansion “The Witchwood”, Team 5 revealed a number of new cards, the most interesting of which might be the king of Gilneas himself, Genn Greymane, and the monstrous Baku the Mooneater. Two new deck types are coming to Hearthstone in The Witchwood expansion: Even and Odd decks. One of the major goals the team has for every expansion is to introduce a variety of fun and interesting new strategies to learn, play, and tinker with! Enter Baku the Mooneater and Genn Greymane. Baku gives you an upgraded Hero Power, while Genn reduces the cost of your Hero Power to 1 mana. Each effect occurs at the start of the game–just for including one of these minions in your deck!–but such power comes at a price: building decks with cards that have only even or odd mana costs! Are you looking forward to Even and Odd decks and deckbuilding around cards such as Baku the Mooneater and Genn Greymane? Sound off in the comments. Genderfluid Elves: The end of Dungeons & Dragons, or just another troll mad about something that shouldn’t be controversial?